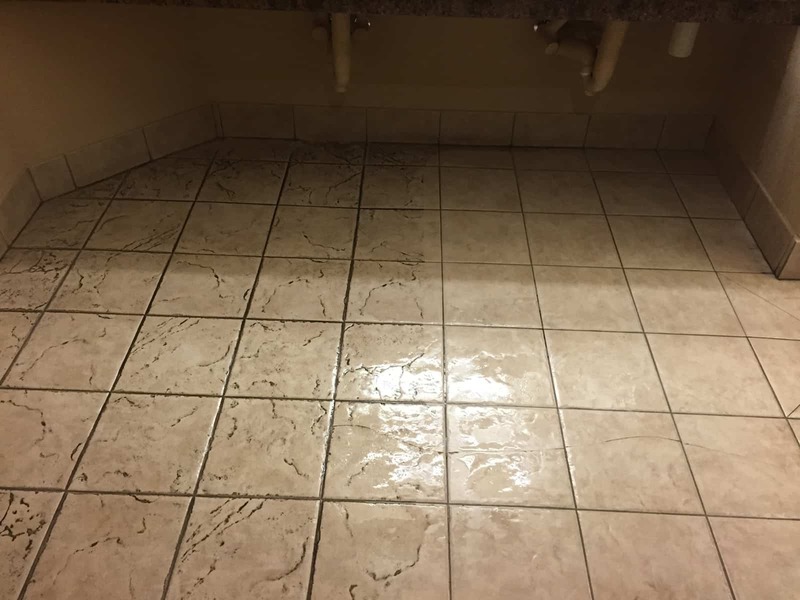 Tile cleaning is an important but often overlooked step to keep your Denver area facilities looking their best. Commercial tile floors see a lot of traffic. Even when mopped frequently, dirt, grime and grease accumulates in grout lines and uneven spots on tile. 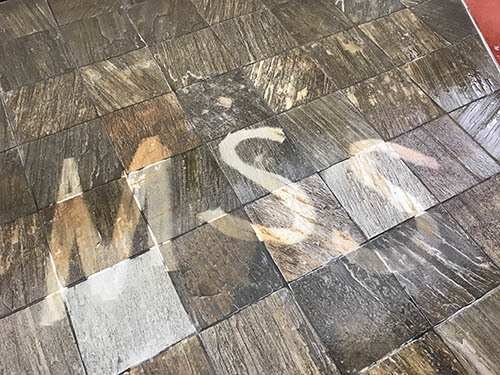 MSS Cleaning uses top of the line truck mounted equipment alongside a variety of tools to thoroughly clean tile and grout. 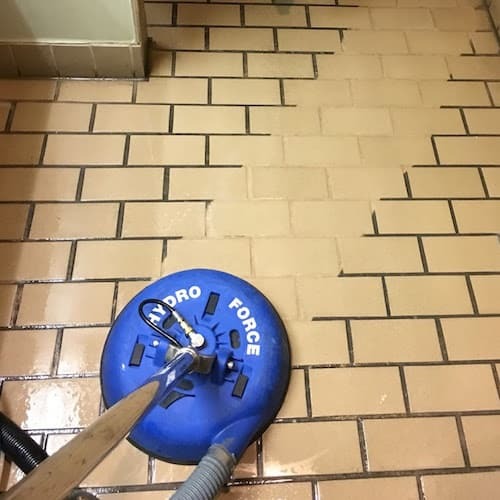 A professional tile cleaning job includes not just the main floor, but edges and corners as well. Our edge and wall tools ensure the most thorough commercial tile and grout cleaning. Our tile and grout cleaning equipment is best in class. We use a powerful truck mounted machine as our power plant. Add in a counter rotating brush machine for scrubbing, and specific corner and edge tools. We’ll deliver tile cleaning results that will leave you smiling. We apply a powerful cleaning agent that goes to work breaking down dirt, grease and grime immediately. After the tile has been pre-sprayed, agitation helps the solution work better. We use a counter rotating brush machine as well as hand tools to scrub grout lines and depressions. This further loosens soils in preparation for rinsing and extracting. The surface preparation has now been completed. Next, we apply extremely hot water and another solution. This is sprayed at over 1,000 PSI to rinse and neutralize the tiled area. This step blasts away the remaining soil, grime and crud. Our specialized equipment keeps the water contained. This keeps it from spraying everywhere. Then, the waste water is sucked back out to our truck using a strong vacuum. A deep cleaning is the result. Finally, the waste water is held in a waste tank until it can be properly disposed of. We offer a full suite of commercial services for your office, restaurant, school or other commercial space. In addition to commercial tile cleaning in Denver, we also offer professional commercial carpet cleaning and commercial upholstery cleaning services. Our customers appreciate the convenient, professional solution we can offer to help manage a wide range of their facility cleaning needs.